On the coldest and darkest of nights, when you are surrounded by eerie whistling winds, and you can see something lurking out of the corner of your eye...and you are frozen to the spot in complete fear..Remember .......... " Nibbler "
He skulks in the shadows awaiting his next meal, tongue probing the dank air,never knowing what kind of tasty morsel will wander past..until YOU pass by.. If you are one of the Unlucky ones..he will let you live for awhile, just for fun and his own macabre entertainment.... . 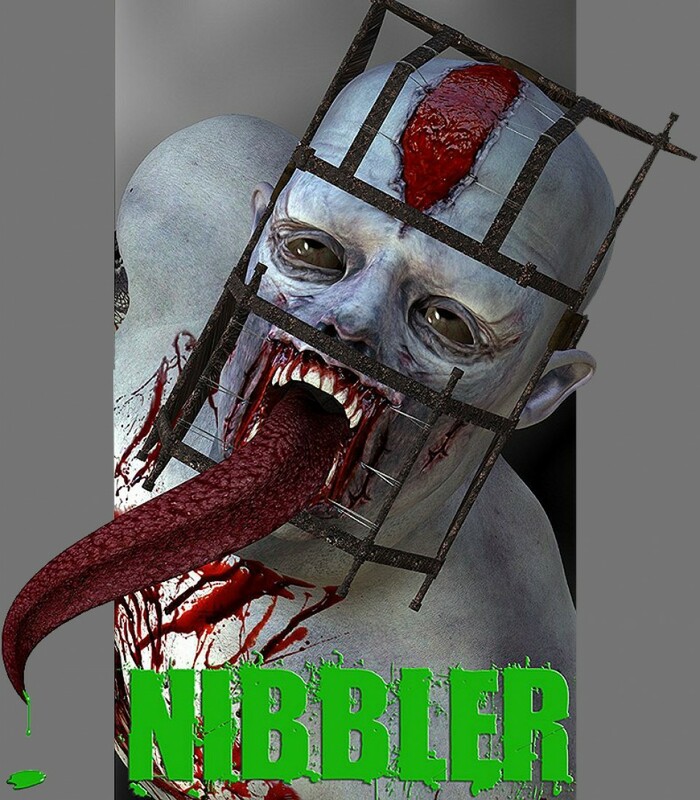 It will be Oh so so NOT clean..
You will have been ....... " Nobbled by Nibbler " ... !